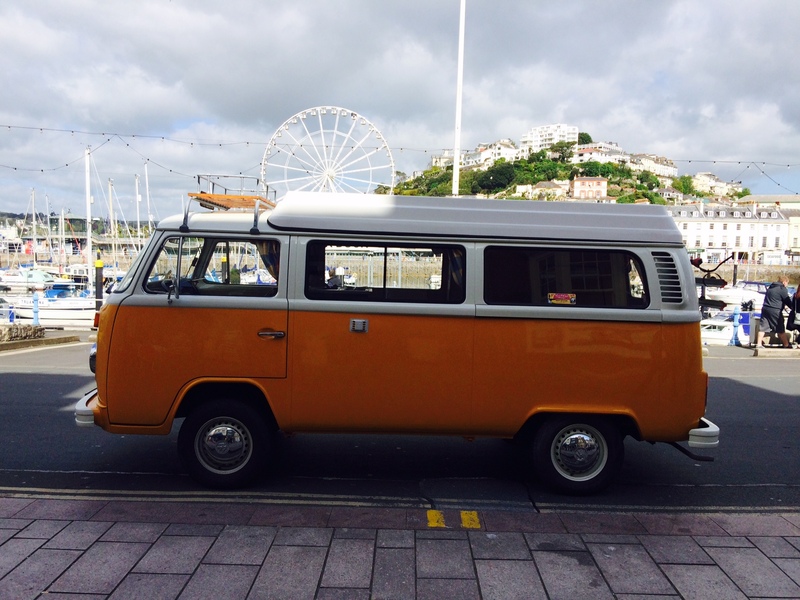 Browse: Home / 1974 VW Camper van. “Colin”. is a 1974 VW Camper van “Westfalia” conversion. Originally a German vehicle but imported in to the UK it still retains its left hand drive. Bought by the present owners in 2008 it has since received a full restoration in early 2015 at a cost in excess of £11000. To hire this VW camper for a weekend Summer wedding the cost for the day is just £350 dropping to £250 for a week day wedding in the winter. All our campers are powered by their original 1600cc air cooled engines, producing the sound that only this little air cooled “boxer” engine can. A distinctive VW thrummmm sound that brings joy to the ears of the VW enthusiast. No fancy lowered suspension or modern wheels, “Colin” still retains his dinner plate chrome hub caps which complements the authentic lines of these 1974 VW Campers. “Colin” is both fitted with a “Westfalia” camper roof which opens right up when stationary to give full standing room. This really is a lovely period looking vehicle. 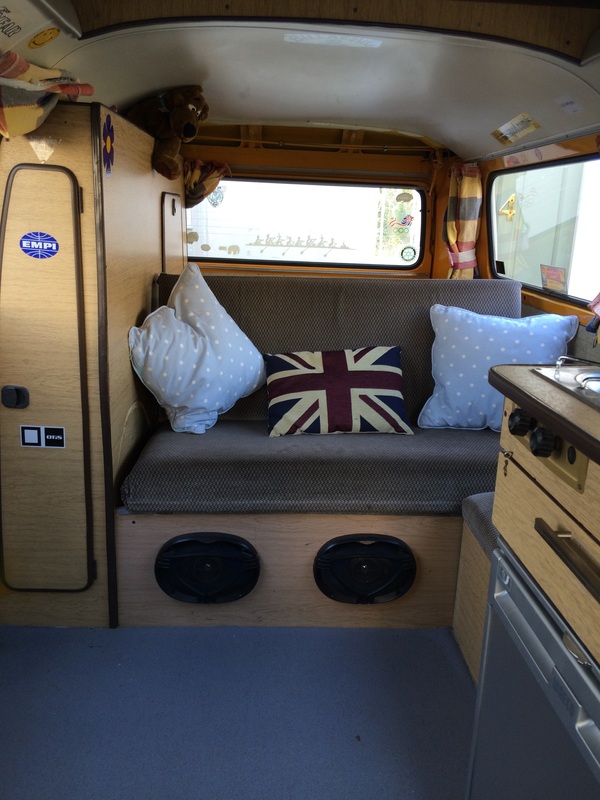 On the inside, the rear of the VW is accessed by the large sliding side door and has a large bench seat which doubles as a double bed and all the camping utilities needed. The bench seat will suit three large adults and there is one passenger’s seat in the front. If you want to move away from the traditional wedding car and have something more in keeping with your surfing dude or 60s hippy chick look then these are the vehicles you need for your wedding. We can also use these vehicles as additional vehicles to our traditional wedding cars for transporting family members or bridesmaids.